This week we’ll turn to The Herbal Healing Deck by Sarah Baldwin, an expert in plant spirit medicine. She believes that plants possess consciousness, and “Nature has deep wisdom far beyond the comprehension of mere mortals.” So let us tune into the wisdom of nature and the plant world! 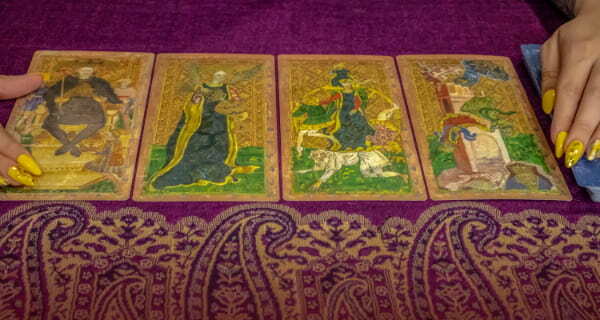 Your personal tarot reading is waiting! 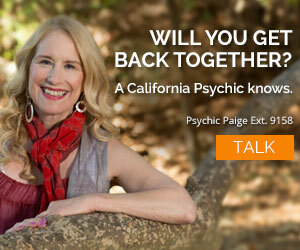 Read with one of our amazing tarot card psychics, like Psychic Julia, today. Drawing wormwood is like drawing the blank rune. That’s because it represents the parts of life that are unknowable. You may be faced with a great mystery at this time, for some things are meant to remain hidden. However, the spirit of wormwood can enhance psychic abilities and it’s used in ceremonies to achieve telepathy, remote viewing, and precognition. It seems to lubricate the mind and circumstances that favor synchronicity too. Wood Betony serves as a reminder to stay grounded. Herbalist Matthew Wood praises this herb as a superb solar-plexus remedy, improving gut-level instincts and intuition. Its message is clear: Grounding yourself will serve as protection from negative and disruptive energies. One of the best ways to ground yourself is by connecting to the earth; spending time in nature. So it’s a good evening to physically connect with the ground in some way. This will provide inner balance and peace. Like all stinging plants, nettle reminds us to pay attention. Drawing nettle is a message to wake up to what nourishes you. 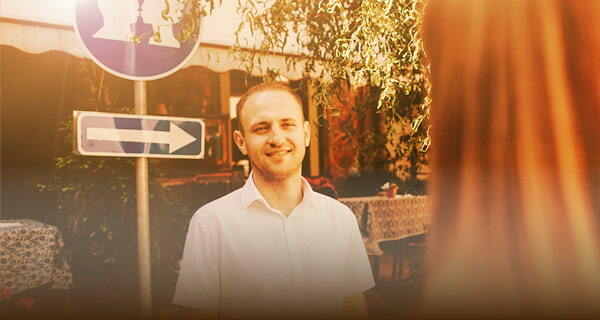 Learn the art of how to receive mindfully. Take note of all that you receive at this time, big and small. This includes material objects, sources of income, food, medicine, love, or anything given to you by the earth. Practice receiving compliments graciously today also. When you are grateful for what you receive, you draw more resources into your life, according to The Herbal Healing Deck. Connected with the Moon, mugwort is a plant of cycles. She reminds us to honor the natural rhythms of life. She teaches us to feel these rhythms so that we can flow with them too. Therefore, sense where the flow is coming into your life, and readjust to better receive it. Meanwhile, loosen your hold on areas that have dried up for the time being. This may require you to step back from a particular situation while giving yourself over to another. Yarrow reminds us to uphold our personal boundaries, even when immersed in healing work. Yarrow asks people, especially sensitive people, to consider their own energy field, and notice any places where life force leaks out. The Herbal Healing Deck affirms that by placing stronger boundaries with people, you create a protective shield for your own well-being. Universally, violet is understood as a humble and even shy plant spirit. Now, violet appears this evening to encourage introspection and the use of good judgment and acumen. “Look before you leap!” is a saying to keep in mind. Take care not to be swept up into other’s goals, projects, or problems. Stay true to yourself instead. Drawing St. John’s Wort indicates an illumination in your life. Therefore, trust your gut feelings today; they will point you in the direction of your soul’s purpose and passions. The Herbal Healing Deck encourages you to call in the light, align yourself to your highest path, and enjoy the illumination that follows. The spirit of calendula is playful and theatrical, like the glowing essence of a child. As we get older, however, we get more self-conscious and more aware of the opinions of others. Sharing your skills, talents, and gifts with other people is important now. Take lessons from both children and cats. Stand proud and tall. Embrace your unique essence and reveal it to others, and of course, remember to shine. Where elder is present, tales of magic abound. Today elder appears to signify your readiness to awaken to the magic that is all around you, according to The Herbal Healing Deck. Invisible forces are knocking at your door, beckoning you to heed the call to adventure and learning too. You have the power to move between the worlds, dance with the gods, and return with creative genius. Vitex, also known as chaste tree, has a history of associations with chastity. Celibate clergy in medieval Europe used the plant to decrease the libido. Tonight, you may experience a surge of energy that requires a greater level of self-control. The situation calls for discipline and self-mastery. Today, horsetail comes into your life to facilitate communication with your higher self and higher beings. Your higher self exists beyond the barriers of your present personality. Also, all of your spirit guides are here to help and acknowledge you. 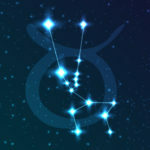 Horsetail indicates a connection to star energy. Stay open to any messages you receive through intuition, dreams, or synchronicities. 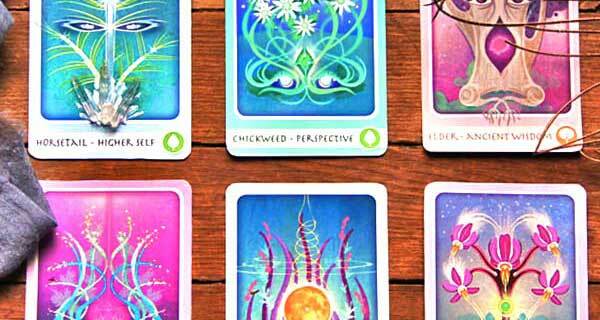 The Herbal Healing Deck encourages you to read the signs and follow your guides in order to evolve. “Persistence” is the keyword for turmeric, as it teaches us about the power of tenacity. It appears tonight as a signal to hold fast to your goals. Therefore, call upon your passion and your deep desire to light up the world in your own unique way. Also call upon the power of the Sun, as turmeric is associated with the Hindu Sun god, Surya. Don’t give up on the work your heart guides you to do! The message of willow is that the more we realize our interconnection to all of life, the more we understand our responsibility to keep our words, actions, and even our thoughts positive. When we fail to see the interconnectedness of all things, we feel as if life just happens to us, rather than acknowledging our part in shaping our circumstances. Cedar’s connection to ritual and ceremony is strong. The practice of smudging is a way to purify space and to evoke a prayerful mindset. Part of the protection cedar provides is that of invisibility. Therefore, by keeping hidden at this time, you are absolutely able to protect yourself, your creative projects, and your relationships. 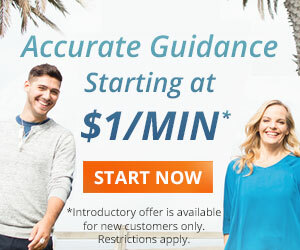 Now is the time to retreat into your private world and bring ritual into your daily life. The Herbal Healing Deck encourages you to create an altar or sacred space where you can pray or meditate, and burn a little cedar to help you manifest your heart’s desires. Looking for a deeper connection to Source? A tarot card reading is your answer. Tarot cards give you a direct connection to Source so you receive profound insights into your past, present, and future too. 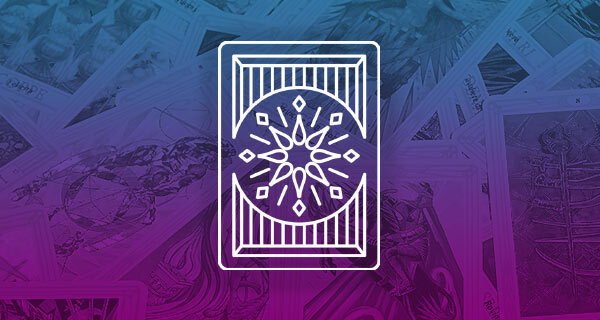 Our tarot card psychics interpret Source’s messages so you know what you’re getting is the unadulterated truth.